A personal or mental health day is something we all need. It's meant to relax and revitalize the body and mind, but what about the lungs and skin. A new trend increasingly found at modern spas is halotherapy, or salt therapy—breathable salt particles intended to improve breathing. There has been news buzzing with the supposed benefits of salt therapy or halotherapy for lung conditions like COPD and asthma. But what exactly is salt therapy, and is it helpful or harmful? Turns out, salt therapy isn't new at all. Back in 1843, a Polish physician by the name of Feliks Boczkowski noticed that salt mine workers did not experience respiratory issues or lung disease vs other miners. Almost a hundred years later, a German named Karl Hermann Spannagel noticed that his patients' health improved after hiding out in the salt caves improved, while avoiding heavy bombing during WWII. The news of the benefits of salt therapy spread across Eastern Europe where you can find many locations offering these giant salt rooms today, from Poland to Germany to the UK. It's even catching on in the States at Korean bathhouses where you can sit back, relax and breathe in the salty air while in a room made entirely out of giant slabs of Himalayan sea salt. So how does exposure to the salt work? Well, the scientific community isn't really sure. There are a lot of theories on the how, and how much from the tiny salt particles being inhaled killing off microorganisms in the lungs to reducing inflammation and decreasing mucus, or a mixture of these reduced symptoms. There is a relaxing effect, as well as a drying and antiseptic effect that can be transmitted through the skin and down the lungs. You literally absorb the molecules into every part of your body. Dr. Norman Edelman, Senior Scientific Advisor to the American Lung Association, suggests that potentially, it could be more than just a placebo effect. Most people with obstructive lung disease such as asthma or COPD produce a cough sputum (a thick mixture of saliva and mucus), and trying to bring it up can be distressing and challenging to the lungs, muscles of the neck and check. When you think about the last time you had bronchitis, for instance, the discomfort from coughing can impact the entire upper back, lungs and neck tension. Dr. Edelman suggests that it's possible that salt therapy offers relief to these symptoms. As Salt therapy is becoming increasingly popular, we would describe a typical session involves sitting comfortably in a specially designed salt room and breathing in microscopic particles of salt. Sound relaxing? Well, it’s also proven to be effective for not only cleansing the respiratory system, reducing inflammation, enhancing athletic performance, and opening up air passages, but also for clearing up congestion by thinning out excessive mucus—a great boon for those suffering from respiratory illnesses. New salt therapy spa rooms have been opening up across Canada and the United States, as an increasing number of people begin to recognize its many health benefits. More recently, people suffering from illnesses such as cystic fibrosis are increasingly turning to salt therapy to complement their ongoing treatment. We’re constantly under threat by an influx of irritants, pollutants, and allergens. This is especially true for those of us living in the city. Those suffering from illnesses such as cystic fibrosis are particularly vulnerable, leading to such symptoms as irritation and persistent cough. Breathing in salt provides a soothing respite that works to clear up air-passages by unclogging the bronchi and bronchioles from air-borne pollutants. Salt therapy also reduces inflammation of the respiratory tract by absorbing edema from the mucosa lining of the air passages. This makes it easy for thick and sticky mucus to be easily eliminated from the body, which helps prevents the blocking of air-passages (a common problem for those with cystic fibrosis) and works to alleviate discomfort. While breathing in salt does not represent a complete solution for cystic fibrosis, implementing it into your total care strategy can enhance your overall treatment plan. The key to achieving this is by being diligent with your ongoing maintenance. Being consistent with your application of salt therapy is key for dealing with your symptoms because you’ll be repeatedly cleansing your respiratory system which prevents bacteria and infections from proliferating. Depending on the severity of your case, one salt therapy session per week is often a good amount for most people. This schedule can be modified according to your individual needs. For instance, if you happen to catch a cold or feel under the weather, you could also add a couple extra sessions in the week in order to help accelerate your recovery; or, at the very least, provide you with some relief. At this point, there are no evidence-based findings to create guidelines for patients and clinicians about treatments such as salt therapy, which begs the question—should people be using a therapy without current medical guidance? We have taken the approach to offer this technique through a medication room, where the mind can be quieted and restful breaks from long and stressful days.There is also the question of how well maintained the rooms are since warm rooms could provide ideal conditions for the growth of bacteria. Reducing this risk through regular cleaning and reducing contact with street wear helps, but the bottom line: salt therapy should definitely be discussed with your doctor. Come visit us at Koda Therapy Group in Palo Alto and try it for yourself. I’ve had several clients with neck pain and ‘stiffness.’ Some have been unable to move their head, neck and shoulders – which throughout the day could be inconvenient. The Active Isolated Stretching (AIS) method of muscle lengthening and fascial release allows me to use a type of Athletic Stretching Technique to provide dynamic and effective self-care and facilitated stretching of major muscle groups for my clients in pain. I have expanded into this area of Kinesiotherapy to provide better results for my clients, and more importantly AIS provides functional muscle balance and physiological restoration of superficial and deep fascial planes Range of Motion. As I recently learned, over the past few decades many experts have advocated that stretching should last up to 60 seconds. Physical Therapists have published studies comparing, 15-60 seconds of static stretching on improving muscle length. For years, this prolonged static stretching technique was the gold standard. However, prolonged static stretching decreases the blood flow within the tissue creating localized ischemia and lactic acid buildup. This can cause potential irritation or injury of local muscular, tendinous, lymphatic, as well as neural tissues. These are similar to the effects and consequences of trauma and overuse syndromes. The AIS Technique – Performs Functional Muscle Release for Deep, Superficial Fascial Lines throughout the body. Using an Active Isolated Stretch program, either active or assisted, performs a series of stretches in the functional muscle group – each repetition should last no longer than two seconds per repetition. This movement, and assisted movement, allows the target muscles to optimally lengthen without triggering the protective stretch reflex and subsequent reciprocal antagonistic muscle contraction of the joint or movement. The isolated muscle achieves a state of relaxation, and with subsequent repetitions these stretches provide maximum benefit, more lengthening and can be accomplished without opposing tension or resulting trauma. Aaron Mattes' myofascial release technique, which also incorporates Active Isolated Stretching and Strengthening uses active movement and reciprocal inhibition to achieve optimal flexibility. Using a 2.0 second stretch he has been proven there is key to avoiding reflexive contraction of the antagonistic muscle and regain length throughout the functional muscle group. The sequence of repetitions allows increased circulation, warmth to the muscle and lengthening to the End-of-the-Range-of-Motion, without activating muscle group contraction, restoration of full range of motion and flexibility can be successfully achieved. - Improve conditions in the musculoskeletal condition, that surgery may not be necessary. Since flexibility is not a general body situation, but it is specific to each joint in the body- there can be work or exercise to undo the movements or effort that produces repeated overuse of the same muscles each day - that leads to a restriction in the Range of Motion and reduced flexibility. Eventually this reduced flexibility may exhibit pain patterns in many ways, because the muscles have to work harder still to produce normal results. There is usually consistent irritation in the subacromial region, which will increase the tension in the scapular thoracic region. Extrinsic causes such as an acromial spur, tendon calcification, a curved or hooked acromion, or acromioclavicular osteophytes may be present. Most frequently impingement involves the musculotendinous portion of the supraspinatus, the infraspinatus, the subscapularis, or the long head of the biceps. Benefits of AIS on Condition: The program should include the entire shoulder AIS stretching program and emphasizing shoulder sideward elevation, having the palm of the hand facing backward. The strength program should include the rotator cuff muscles, shoulder stabilization exercises, and posterior shoulder adduction using a band or pulley and pulling downward toward the buttock, having the body face away from the mechanism of overload. Summary of Condition: Medial epicondylitis is also called “little league” elbow. Medial epicondylitis illustrates a snapping motion of the elbow in pronation or a motion such as throwing breaking balls in baseball causing stress on the medial side of the elbow. This may result in Inflamation and Edema that make movement of the olecranon difficult, extremely painful. This results in an injuring of the radioulnar pronator cuff muscle inserting on the inner condylar ridge of the humerus. Benefits of AIS on Condition: After the elbow is healed and free movement is permitted by the physician, restore the range of motion with gentle AIS stretching. If the injury is mild, begin stretching of the elbows, radioulnar, wrists and hands. Strengthen the elbow flexors and extensors, radioulnar pronators and supinators with small weights. Progression to stretching bands or surgical tubing is permitted when the subject is pain free. Incorporate the use of a rubber band and a soft ball for the hands and fingers. Ice massage and stretch the muscles frequently. An ace wrap for gentle support is helpful. The wrists are a complex joint full of bone, ligaments, connective tissue, muscles and nerves. Muscles stretched are over the wrist and into forearm - either extensor or flexor muscles. The Arm Lines are, posturally speaking, a bit different from the other myofascial meridians. The Deep Front Arm Line is a stabilizing line; in poses like the yoga plank, it manages side to side movement of the upper body. In the open movement of the arm, the DFAL controls the angle of the hand, generally through the thumb, as well as the thumb's grip. So they are active at all times - both agonist and antagonist muscles - depending on the movement. Stretching these vital muscles is imperative. You begin the stretch by extending the elbow, slowly flexing the wrist downward by contracting the wrist flexor muscles. Apply a gentle stretch across the posterior (dorsal) hand with the opposite hand. (Excerpt from Active Isolated Stretching: The Mattes Method. Pg. 33)It also has multiple ranges of movement—flexion and extension (moving the palm backward or forward relative to the forearm), adduction and abduction (moving the hand from side to side). Compare this to the movement of, for example, the knee joint, which only has flexion and extension. It also marks the area of transition between the forearm and the hand—so the health of the wrist can directly impact your grip strength and dexterity in the hand. The biomechanics of a musculoskeletal stretch is under conscious control. When we straighten our knees (think getting from from a chair), the brain signals the quadriceps to contract and the knee ‘joint’ straightens out from a 90 degree bend into a 180 degree plane. We will look at the complex movement of this joint in three posts - one for the physiology discussion and impact of stretching (pt 1); One for the opposition forces like reciprocal inhibition and supporting movements of other muscles (pt 2); and the actual response of the structure of the knee through the involvement of the tendons, ligaments and other soft tissue - which have separate receptors that 'regulate' the action though Golgi Tendon organs (pt 3). Since the movement of the quads, activevates the movement of stretch, or lengthening the hamstrings, then we can add the ‘support’ movement of the adductors of the thigh and the abductors of the hip flexors and gluteal muscles. So there is a lot going on, just to help you stand. You may not be ‘aware’ of all this movement, which is how the action ‘triggers’ a chain of physiologic responses that take place without conscious awareness of the brain. But the muscles are aware, because of the receptors in the muscles and the joint. In order to maintain your posture (even bad posture - so stop slouching) your muscles are constantly monitoring their shape. A change in shape of a muscle (the stimulus) causes the muscle to readjust its shape (the response) and maintain your posture. The receptors within the joint and the muscles work together to detect movement and changes in muscle tension and length. These receptors signal the central nervous system (CNS) to respond by regulating the contracting state of the muscles. This in turn affects the range of motion of a joint or muscle group. This is the way that conscious biomechanic actions influence the unconscious physiological response - so we don’t move ‘too far,’ or remain stable in our positions that we hold throughout the activity. Moving the body initiates a sequence of biomechanic and physiologic events that involves the Spinal Cord (CNS) individual muscles (PNS) and structures like joints, which makes a lot more sense when you compare these actions to a “system” of pulley-lever and internal controls (rough metaphor - I know)! The spinal cord initiates movement through a 'reflex arc,' in order to regulate the tension and length of skeletal muscle movement. This 'reflex' affects operates between the CNS and the muscle belly anywhere in the body - so let's just stick with the example of the knee. A motor neuron carries the message from the central nervous system to the effector in the quadriceps (since they are the prime movers in the movement of the knee). In a 'knee-jerk' reflex arc the sensory neuron directly connects to the motor neuron in the spinal cord. This is called a simple reflex arc. from the spindle (receptor) to where it connects with the motor neuron in the spinal cord. The regulation and monitoring of the movement occurs automatically, in response to the neural messaging - to create the biomechanical actions (and therefore the movement). When a muscle contracts or stretches, receptors within the structure alert the CNS to this movement event. The CNS signals the muscles to respond appropriately, either by relaxing or contracting the appropriate muscles. Different muscles respond by creating, supporting or allowing the movement - so there are many muscles reacting to create a single chain. All of this takes place without our being aware of it, an it's within milliseconds or the thought leaving the brain. The arc of nerves between the muscles and spinal cord allows this messaging and feedback to produce balance and fine-tune movement. There is a complex array or receptors and corresponding reflex arcs connecting the musculoskeletal system to the CNS. To provide a brief example, I am only discussing the three major reflexes: the muscle spindle, reciprocal inhibition and Golgi tendon organs as they will give the control response for the end of the muscle movement. There are three types of stretching that we generally discuss: Ballistic stretching - uses jumping movements to activate the target muscles (more propulsive - fast twitch focus); Passive stretching - uses the body weight, gravity, and synergist/agonist muscle group relationship to create a stretch. The person is having the muscle acted upon, so that no muscles are "active" in the process of creating the stretch; Facilitated stretching - also known as PNF or proprioceptive neuromuscular facilitation - it involves briefly contracting the target muscle for a stretch, and then taking a longer stretch to take additional stretch through the 'slack' created by the response to the CNS. Muscles that are shortened will benefit from the extra effort of lengthening them, so that they remember the correct and full Range of Motion regardless of their level of use. So Stretching is designed to lengthen muscles shorted under constant use, or warm muscles that have been static for long period of time. PNF or proprioceptive changes are necessary, to make muscles more efficient in between workouts, or when the nervous system isn't responding in the way that you expect - to support your movements. Principle #1: Prolonged or forceful stretching is counterproductive. After about 2 seconds, a muscle contracts defensively in response to a stretch that is forceful enough to injure it. (This action is known as the myotatic or stretch reflex.) . Principle #2: Active movement facilitates stretching. Sherrington’s Law of reciprocal inhibition in muscular contraction states that when a muscle on one side of a joint is contracted, the muscle on the opposite side of the joint is sent a neurological signal to relax or release. Principle #3: Muscles are more efficiently stretched when they are at rest or relaxed Momentary rest between stretches is as important as the stretch itself. It reduces fatigue and enhances blood flow to resupply oxygen and nutrition and eliminate waste products. Principle #5: Flexibility is specific Flexibility is most efficiently maximized by identifying and then isolating which part of which muscle is inflexible. AIS stretches are designed to stretch the distal and proximal ends of a muscle separately. In addition, they use 10-15 and 45º rotations in both directions to maximize the stretching of all the different muscle fibers. Principle #6: Specific movement establishes specific neuromuscular pathways Repetition of specific movements creates new neuromuscular patterns, essentially rewiring the neuromuscular system. The development of new neurons — through appropriate stretching improves the functioning of existing neurons. 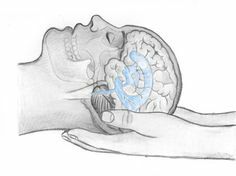 Principle #7: A gentle assist facilitates increased flexibility Another factor that stimulates neurogenesis is actively going beyond a person’s normal capacity. Gentle assists challenge the tissue, facilitating neurological development and enabling a gradual increase in flexibility. People who have degenerative neuromuscular conditions such as multiple sclerosis or polio are generally not encouraged to move beyond their comfort level — which means there’s no opportunity for them to restore lost functioning. Principle #8: A muscle’s ability to withstand a stretch and tensile force is important for injury prevention. To injure a normal muscle, the muscle must either be stretched beyond its capacity or subjected to a load that is too great for it to bear. A strong muscle can absorb greater amounts of force and a fully flexible muscle can lengthen and absorb force before failure or injury occurs. Principle #9: Flexibility and strength are interdependent. Flexibility without strength and strength without flexibility are both inefficient and increase the vulnerability to injury and dysfunction. Typically people are weakest at the end of their range of motion. AIS develops strength within the optimal range of motion. Principle #10: Muscle extensibility increases with body temperature. (from DeLee research 2003) The basic, ground substance of connective tissue is hyaluronic acid — a highly viscous substance that binds and lubricates the collagen, elastin, and muscle fibers. It has the consistency of Vaseline at room temperature when the muscles are “cold,” and as the temperature of the muscle increases it becomes more malleable and fluid. This is why are warming up is important in order to maximize flexibility. Principle #11: To prevent injury, minimal force should be used during stretching. Laboratory studies show that most muscle injuries occur when more than 70% of maximal sustainable force is used. The same research showed that 50% or less of maximal force should be used to prevent injury. We offer a short overview of Pain that we use to help our clients understand, the why of their discomfort. Massage Therapy has many wonderful and therapeutic benefits but the advice or cautions that wind up being shared are often inaccurate. What we hear can be a little misleading, so, I thought I'd take on the role of 'Masage ' today and discuss what's real and what's not. Let me know if you have your own favorite Massage Therapy Myth, or illusions that have been shattered in the course of manual therapy. I love the good stuff. Massage Therapy does not induce an early labor and is perfectly safe for both mother and baby during normal pregnancies. Most physicians (and yes, you need to let your doctor know before you go!) will support massage after the first trimester and right up until the due-date. High risk pregnancies are handled a little differently, but not much - if everything is communicated up front. It can be extremely beneficial for the Mom-to-be and offer a way to relax and unwind during a physically and mentally tiring time. Normal aches and pains from pregnancy, can be dealt with and if the therapist is trained, there is no danger to the mother or the baby. More complicated situations can also be handled - but that requires an advanced understanding and training around pregnancy and the impact on the female body. Post-natal massage can be equally beneficial, and for those are are interested in 'naps' during the day it is ideal (generally six weeks after birth - with a doctor's note again)! Ask your Massage Therapist about Pre-natal massage and other forms of appropriate therapy to help both before and after your baby is born. If Massage Therapists could really banish cellulite we'd never see a dimpled thigh ever again. And when I have clients that come in wanting to reduce water retention and ' discussing,' if I know how to help them get a 'thigh-gap,' to look more shapely...I stop listening, and you will never get an answer from me. This is NOT my area of expertise, or interest. However, cellulite is persistent subcutaneous fat and it's appearance. It is found mainly in women, or they seem to care more, and the 'texture' is determined by hormonal factors, genetics, diet and lifestyle. Eating a healthy, low fat diet rich in fruits, vegetables and fiber and taking regular exercise is the best option to prevent and reduce the appearance of cellulite. Massage is an excellent addition to your healthy lifestyle and wellness routine, and good circulation is good for the SKIN, HEART and whatever else ails you. This is an interesting Myth, which while popular and interesting, is completely false. The body processes excess waste (by-products of food, drink, airborne pollutants etc.) in a variety of ways i.e. sweat, urine, faeces, or if you're ill by vomiting. Your liver, kidneys and skin do a remarkable job of getting rid of these 'toxins' on a daily basis and keeping the skin, muscles and fascia of the body (including joints) free and balanced. Massage does, however, increase blood supply to various parts of the body and can regenerate a lack-lustre circulation. This helps move things around and replaces 'things dislodged by massage' - collagen from adhesions, lactic acid from workouts, and lymph from injury sites. This may be what is actually being referred to when someone is talking about toxins - the by products and 'waste' not needed by the body. These things are actually replaced by the nutrients that the body needs - which circulation also brings in. So, it's a one-for-one exchange. Drinking water is a pleasant thing to do after a massage (we like ours with a slice of lime or cucumber) and is a great reminder to drink more fluids that aren't laced with sugar, colorings or other additives. Eating a healthy, again, focusing on a low fat diet rich in fruits, vegetables and fiber and taking regular exercise is the best option to prevent and reduce the toxins and inflammation (caused by diet imbalance). Massage is an excellent addition to your healthy lifestyle and wellness routine, and good circulation is good for the SKIN, HEART and whatever else ails you. Many Massage Therapists and cancer patients have often fallen foul of this myth. Until recently, it was assumed that the action of massage could actively spread cancer cells throughout the body. However, it DOES NOT. Therapist who receive training, and the general public should now realize that cancer cells are caused by the body's immune system malfunctioning, they cannot be spread or increased through manual contact. Cells that turn cancerous will do so regardless of massage therapy stimulus, and there is no way the contact between therapist and the client will cause cancer cells to move through the body then the same could be said of any form of exercise. On the other hand, Massage Therapists need to be 'trained and knowledgeable' about the impact of Massage Techniques appropriate for work on tissues going through Chemotherapy, Radiation and other types of drugs associated with Oncology. This is an advanced technique that needs to have specific ways of working the patients in an appropriate manner - much like lymphatics and other types of techniques that actively work on areas that are injured. Many Massage Therapists and athletes have often run into issues with clients who have athletic trainers that tell their athletes - 'don't get a massage you'll be too relaxed or flexible.' Until recently, it was assumed that the action of massage could impact the muscle fiber pliability, and lead to injury during heavy and continuous workout cycles. However, most techniques DO NOT have a negative impact on the 'proprioception' of the brain, the biomechanics of sports movement and how the athlete performs. There will be a positive impact, and the return of full range of motion and movement capability may be different, but managed regularly as part of the work out cycle - the Athlete and the "Athlete's brain" will get used to the new normal without incident. They will also REMAIN INJURY FREE. In fact if therapists have received 'sports' training, and understand the muscle recovery and cycle of activity there should be no functional impact, on the athlete. This should encourage athletes and trainers alike to focus a small amount of their strategy on 'recovery,' instead of letting it happen without purpose or intent. Regardless of massage therapy stimulus, and techniques, recovery in the form of relaxation of muscles and reduction of stimulus or stress on the body on a regular basis will increase performance and prevent injury. Relaxation and the 'optimization' of the body should be the goal of any form of massage. What Massage Therapy Myths have you heard recently? What misconceptions about Massage would you like to dispel? Share them with us here in the comments section (below), our Facebook page, twitter account or Instagram account. They can be identified by palpation, pain patterns or loss of strength and range of motion. Because there is an impact to the soft tissue or is linked to musculoskeletal pain, They can be reset and released for pain reduction, increased range of motion and prevention of injury. The release feels like a small twitch in the muscle, but no contraction. unlike spasms, they do not involve the whole muscle. They are NOT caused by trauma, inflammation, degeneration or infection – but they can develop as the body protects itself from these things. There is a nervous system involvement – but they cannot be explained through a neurological examination. "Soft Tissue Release is only part of the equation, but if you don’t achieve it – full recovery may not be possible!" Pain is usually the natural consequence of tissue injury resulting is one of the biggest reasons why manual therapy and therapeutic intervention can be critical to a successful recover. In general, as the healing process commences, the pain and tenderness associated with the injury will resolve. Unfortunately, some individuals experience pain without an obvious injury or suffer protracted pain that persists for months or years after the initial insult. This pain condition is usually neuropathic in nature and accounts for large numbers of patients presenting to pain clinics with chronic, non–malignant pain. What they do not consider, in the attempts to control, improve or ‘get rid of it,’ Pain is the nervous system functioning properly to sound an alarm regarding tissue injury or potential injury which may be related to ongoing structural or imbalance in the body. The idea that neuropathic pain from the peripheral (PNS) or central nervous system (CNS) malfunctioning can become the single greatest gift in resolving the cause of the pain. Acute pain and chronic pain differ in their etiology, pathophysiology, diagnosis and treatment. Acute pain is self–limiting and serves a protective biological function by acting as a warning of on–going tissue damage. Chronic pain, on the other hand, serves no protective biological function. Rather than being the symptom of a disease process, chronic pain is itself a disease process. Nociceptive pain is mediated by receptors (messages are transferred to PNS) and fibers which are in skin, bone, connective tissue, muscle and viscera. It affects the sensitivity of any of these structures. Nociceptive pain can be somatic or visceral in nature. Somatic pain tends to be well localized, constant pain that is described as sharp, aching, throbbing, or gnawing. Visceral pain, on the other hand, tends to be vague in distribution, paroxysmal in nature and is usually described as deep, aching, squeezing and colicky in nature. It affects the ability of the muscle to ‘act,’ and in turn affect the physiology of the musculoskeletal structure (i.e. Knots, adhesions, contractures). This failure of the receptors in the body becomes the primary location for trigger points. Neuropathic pain, in contrast to nociceptive pain, is described as "burning", "electric", "tingling", and "shooting" in nature. It can be continuous or paroxysmal. Whereas nociceptive pain is caused by the stimulation of peripheral receptors due to introduction of biochemical compounds produced by the body, neuropathic pain is produced by damage to, or pathological changes in the peripheral or central nervous systems. The mechanisms involved in neuropathic pain are complex and involve both pathologic impact to peripheral and central nervous system phenomenon. The underlying dysfunction may involve deafferentation within the peripheral nervous system (e.g. neuropathy), deafferentation within the central nervous system (e.g. post–thalamic stroke) or an imbalance between the two (e.g. phantom limb pain). Following a peripheral nerve injury (e.g. crush, stretch, or axotomy) sensitization occurs which is characterized by spontaneous activity of the neuron, a lowered threshold for activation and increased response to a given stimulus – PAIN arrives. Following nerve injury nerve fiber can develop new receptors and sensitivity (slowly 1mm/month), which may help to explain the mechanism of sympathetically maintained pain and then subsequent decrease without treatment. Following a peripheral nerve injury, anatomical and neuro–chemical changes can occur within the central nervous system (CNS) that can persist long after the injury has healed. The "CNS plasticity" may play an important role in the evolution of chronic, neuropathic pain. As is the case in the periphery, sensitization of neurons can occur following peripheral tissue damage and this is characterized by an increased spontaneous activity, a decreased threshold and an increased responsivity to afferent input, and cell death – MORE PAIN arrives. So now you’re wondering what you can do – if anything – to reduce sensitivity, manage pain or reduce chronic conditions and live normally. Early recognition and aggressive management of neuropathic pain is critical to successful outcome. Often multiple treatment modalities are needed and should be provided by an interdisciplinary management team. Numerous treatment modalities available include systemic medication, physical modalities (e.g. physical rehabilitation), psychological modalities (e.g. behavior modification, relaxation training), and various surgical techniques (as a last resort). It should be noted that caution is warranted regarding the use of invasive techniques. Such approaches may produce deafferentation and exacerbate the underlying neuropathic mechanisms. Neuromuscular Therapy (NMT) is an approach to soft tissue release and manual therapy that involves quasi-static pressure that is applied to soft tissue to stimulate skeletal striated issues (i.e. Adhesions, Trigger Points). You cannot strengthen a muscle that has a trigger point, because the muscle is already physiologically contracted. attempts to strengthen a muscle with trigger points will only cause the trigger point to worsen. Through applied knowledge of Anatomy and Physiology, Kinesiology, Trigger Point physiology and trigger point development – i.e. Ergonomic or biopsychosocial influences, neuromuscular therapy treatments are designed to address postural distortion (i.e. Rolfing focuses on poor posture), Functional Muscle dysfunction (Corrective exercise re-trains biomechanical challenges), movement and psychological impairments to movement (i.e. Somatic retraining and PNF – Proprioceptive Neuromuscular Facilitation stretch). Both Nerve Compression syndrome or congestion and ischemia deal with the musculoskeletal impact on other areas of the body: nerves, veins and arteries. Remember, when normal distribution and circulation is impaired all systems become impacted. Because Myotherapy incorporates trigger point therapy, manipulation of soft tissue through massage, dry needling, and joint mobilization it has become an allied health discipline throughout the world. Therapists with this expertise will also use stretching, nutritional support, exercise, posture, heat and cold therapy as well as ultrasound and TENS (Transcutaneous Electrical Nerve Stimulation) to achieve the return to normal balanced activity they seek. Pain reduction is an off-shoot of the successful procedures. Why is Soft Tissue Ignored? Muscles as a system in the body, is not ‘owned or claimed’ by any Medical Specialty. Soft tissue treatments are taught in medical school – because they are generally NOT life-threatening. Muscles tissue is the largest organ in the body. Tissue complexity is well documented, and there are multitudes of ‘dysfunction,’ beyond Trigger Points and Myofascial Pain Syndrome where the “primary target of these activities creates the wear and tear of daily activities.” These show up as Repetitive Stress Injuries (RSI) and Cumulative Trauma Disorders (CDT), but nevertheless it is the bones, joints, bursae and nerves on which the medical community focuses. Where Physical Therapists and Chiropractors are involved with joint dysfunction, biomechanics, and exercise therapy, they often emphasize these things at the expense of soft-tissue or muscles. They simply over-simplify muscle pain as a “sensory disorder,” which can easily affect people with apparently perfect bodies, posture and fitness levels. There is a lot of wasted time ‘treating’ patients, through various methods when a little pressure on key muscles or lengthening of the muscle itself will provide relief. Muscles release in and of itself cannot be expected to occur in a single session – although occasionally it may feel like that. Massage Therapists in generally know surprisingly little about myofascial pain syndrome, because the training varies for every practitioner. When they become pre-occupied with symmetry and structure, then the ability to give relief may be hard to find. Outside of Neuromuscular therapists, common skilled treatment of Trigger Points and Myofascial Pain is very rare, but look for these individuals who have spent time and effort to begin to understand treatment and management of pain and you’re going in the right direction. As a last point on the complexity of muscle pain, there is a common mistake in comparing Myofascial Pain and Fibromyalgia. Although unexplained FM might be a more clearly neurological disease, while MPS may be more of a problem of muscle tissue. They have related sets of unexplained symptoms, and they may be two sides of the same coin, with overlapping parts on an undefined spectrum of sensory malfunction, or different stages of the same process. Do NOT confuse “tender points” of fibromyalgia with ‘trigger points’ in muscles – they are not even close. Whatever the similarities of these two causes or labels, therapeutic approaches for MPS seem to be helpful for some FM patients as well. Although pure FM cases seem to be mostly immune to manual therapy. In addition to minor aches and pains, muscle pain is often the cause of unusual symptoms in strange locations. For example, people diagnosed with Carpal Tunnel syndrome are experiencing pain caused by congestion of the nerves in the Armpit or Neck (brachial plexus). Chronic Jaw Pain (TMJ), Toothaches, earaches, Sinus Headaches, Ringing in the Ears (tinnitus), Dizziness and Allergies: these may ALL be symptoms of trigger points in the muscles around the jaw, face, head and neck. There are several large nerves (i.e. Trigeminal Nerve in the cheek near the TMJ, Occipital Nerves at the base of the skull) which when impacted created these types of issues due to muscle tension and dysfunction caused by trigger points. Migraines or Headaches in general: Since there are over 300 types of headaches, let us just say that some muscle, somewhere in the neck can contribute to headaches given enough tension. There are obvious headaches that affect the Sternocleidomastoid (SCM) around the eyes, ears and back of the head. Then there are less obvious muscles like the Occipitals that just simply block or congest the blood flow to the brain enough to cause tension. There is no way to predict the pattern of a headache from one trigger point, because they may cause secondary sights with the muscles that they touch. Isolating and treating the group of muscles involved in any trigger point situation may take several attempts – it all depends on the client. Trigger points have many strange “features,” and behaviors. Some people deal with trigger point pain better (i.e. Less resistant to) than others. It helps to have a competent therapist, who understands the discomfort around the treatments – most people who have had trigger point treatment will NOT over do the impact to the nervous system (or overstress the clients comfort level). Some discomfort should be expected. Because of their medical obscurity and confusion with many other problems, the trigger point discussion or diagnosis is often the last thing to be considered. Despite their clinical importance and many distinctive characteristics, muscle pain is NEVER the first problem people look at. 1) Repetitive overuse at home or work in activities like work at the computer, cell phone or gardening. These are using the same body parts hundreds of times daily without rest. 2) Sustained loading or stress like heavy lifting, wearing body armor, sustained tension when extending muscles (like reaching to pull things down or moving patients in bed). 3) Habitually poor posture or a sedentary lifestyle, that deconditions the body – or pushes people to overstrain their tired muscles after a week at work. Poorly designed furniture may also contribute. 4) Muscle clenching and tension do to mental/emotional stress. 5) Direct injuries from a blow, strain, break, twist or tear – car accidents and falls are critical situations to deal with immediately after they occur. 6) Inactivity for long periods in exceptional positions, or prolonged rest (i.e. Couch surfing) may also compromise the way the muscles respond. The only way to deal with trigger points is with a skilled practitioner. There are no commonly available lab tests or imaging studies that can confirm the diagnosis. Myofascial pain can be regionalized or general. Trigger points can be Active (causing pain to touch) or Latent (impacting movement and pre-disposing to injury) and are only noticeable when someone touches them. Treating Trigger Points individually can be simple – get a massage or manual therapy that identified and releases them. You just must get them all primary, secondary, and active – and then leave the latent ones for the next time. Treating myofascial pain syndrome or the source of the trigger points and pain may be more complicated. Since trigger points are a contraction mechanism of the locked muscles, getting the release is only the first step. Once trigger points are released the muscles need to be moved throughout the full range of motion.